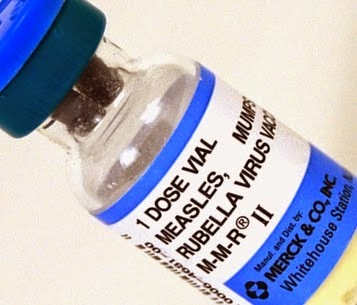 seawapa.co: Big-Pharma Vaccines Deemed "Safe" by Big-Pharma Funded "Study"
Big-Pharma Vaccines Deemed "Safe" by Big-Pharma Funded "Study"
“There is strong evidence that MMR (Measles, Mumps, and Rubella) vaccine is not associated with autism,”the study’s results said. We found evidence that some vaccines are associated with serious AEs [adverse effects]; however, these events are extremely rare and must be weighed against the protective beneﬁts that vaccines provide. While the report itself was funded by the US government, the RAND Corporation from which its authors were drawn is funded by the very corporations (.PDF page 70) that manufacture various vaccines, including the MMR vaccine which was the primary focus of the report. Big-pharma sponsors of RAND include GlaxoSmithKline (GSK) and Merck - that latter of which is listed by the US Center for Disease Control (CDC) specifically as the manufacturer of the MMR vaccine. Merck has also directly and openly funded other studies put out by RAND (here and here). RAND's other big-pharma sponsor, GSK, has been recently exposed amid a global multi-billion dollar bribing scandal where it was paying off doctors to endorse and distribute their products. With Pediatrics' report exposed as - at the very least - an irresponsible, unethical exercise in research, and at worst, corporate propaganda masquerading as a scientific paper, those considering whether or not to have vaccines manufactured by deceitful pharmaceutical monopolies injected into their bodies, have an added incentive to hold off and search for alternatives. While the science of vaccinations may be sound, the corporations that have monopolized their manufacturing and distribution are demonstrably dishonest and criminal. The debate is not necessarily whether the process of vaccinating is good or bad, but why criminal enterprises have monopolized that process and what can be done to stop them. As with everything else corporate monopolies do, there is a hidden agenda behind the drive to whitewash and promote big-pharma's vaccines - an agenda that may transcend mere profits and demands additional scrutiny. If commentators want to assign blame upon anyone for creating public distrust in vaccines, it should be upon big-pharma itself.